Since we were simply “helping/observing,” we took our turns trying out the strange foot powered potter's wheels, which were unfamiliar and awkward to my inexperienced hands and feet. 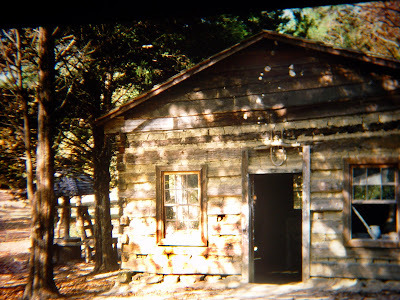 It was a step back in time, with no electricity, hand-hewn walls, and dirt floors. Nothing from the 1970s in sight, except for us, young time travelers in a potter's dream. Sometime during the long night vigil, D.X. said his apprentice recently left and asked if I was interested in coming to work with him. What? Was he serious? Why? Had he seen something promising in me? He didn't even know me! Questions still spinning in my mind, I don't even remember what I said in reply. But I instinctively knew this was an opportunity I couldn't pass up. 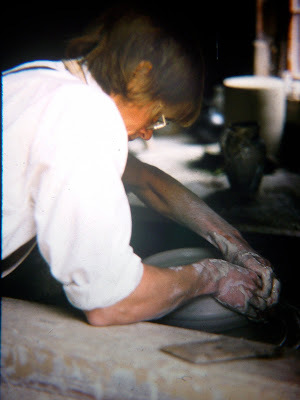 To work with such a knowledgeable and skilled potter with a lifetime of experience to share was almost too good to be true. And all in the simple, earthy, laid back atmosphere of this village from the past. Before leaving that next morning, we set a time for me to come back and talk to the director, as I would actually be an employee of the museum assigned to work in the pottery. 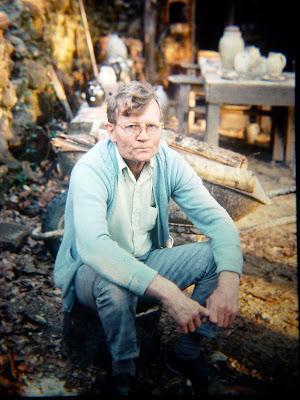 I was currently volunteering at a Christian community called Koinonia Farms near Americus, GA where my friend Harold was the resident potter. I finished my summer there and returned to Kansas to tell my soon to be bride about this great place called Westville near the sleepy little town of Lumpkin, GA. She must have been convinced, because we made our plans for a simple wedding at her parents farm, gave up on my first attempt at a pottery shop in Hutchinson, KS, and packed our old purple Dodge van for our honeymoon trip to Georgia. 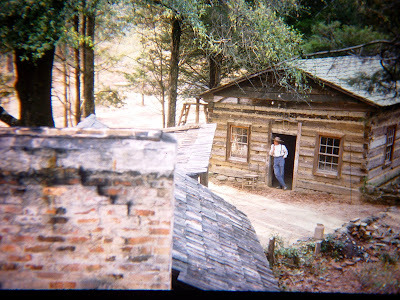 Dr. Mahan, the director of Westville, had assured me he would hold the potter's apprentice position for me when I could return. It was minimum wage ($3 an hour, if I remember correctly) but that was fine with me. They were actually going to pay me! In other circumstances, I might have done it for free!